Lecture: How Many Books of Esther Do We Have? My friend Szi-chieh Yu helpfully introduced me to this wonderful website called the Bible Project. It contains many beautiful animated videos that render biblical stories accessible to everyone, everywhere. The animations are simply lovely! I notice that it defines and explains the Bible from a Protestant Christian perspective. It stresses a unifying principle underlying the Protestant Bible. As one of the videos points out, it is helpful to bear in mind that today the Bible the Protestants are using is not exactly the same as the Eastern Orthodox Christians and the Catholic Christians. The Protestants are using the Jewish Tanakh as their Old Testament (with a different structural arrangement). The Jews and the Protestants, however, can interpret the scriptural texts rather differently. The Project’s video entitled “What Is the Bible?” also highlights that the Protestant Bible has undergone a long process of compilation. Biblical scholars have continued encountering historical artefacts (e.g., Dead Sea Scrolls, Cairo Genizah, Nag Hammadi Library, etc.) and internal literary evidence (e.g., stylistic breaks, doublets, thematic tensions, etc.) that point to the fluidity and diversity of the early scriptural traditions. The award-winning director Darren Aronofsky has recently transformed a biblical epic into a blockbuster film – “Noah”. Since I had enjoyed his “Black Swan” a lot, I went to watch “Noah” with a lot of expectations. Again, I was not disappointed. 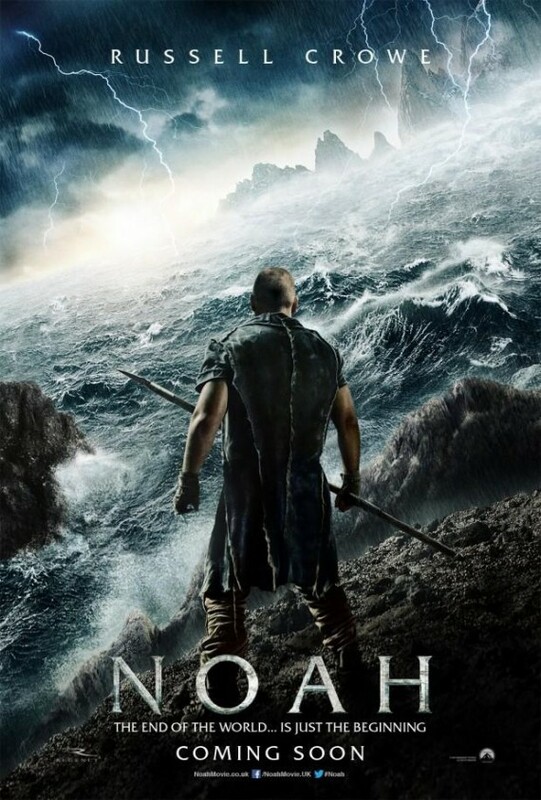 “Noah” has the breath-taking scenery, dramatic plot, and above all complex characters. Some of my friends have also watched it. They ask me what I think of this film in relation to the Bible. For them, a natural curiosity is whether this film is biblical or not. For me, this film offers a good opportunity to discuss the open nature of the biblical texts, which often offer gaps for transformations and reinterpretations. In my opinion, the very term “biblical” is general enough. The Hebrew Bible itself is polyphonic. One aspect of the film that does not fit well with Genesis 6-9 can nevertheless be compatible with another text in the Hebrew Bible. For instance, the silent Creator in the film “Noah” contrasts with the rather talkative God in Genesis 6-9. This portrayal of Creator in the movie, however, seems quite compatible with the “God-less” scenarios in the Masoretic book of Esther, where the name of or the reference to God is not mentioned even once. The Masoretic book of Esther casts the limelight on the actions of the Jewish Queen Esther, her uncle Mordechai and other human characters. Similarly, the human characters are the focus in the movie. Noah on the screen has to take a lot of efforts to interpret the divine will via dreams and visions, to deliberate whether to kill or to spare. If we take the book of Esther as part of the Hebrew Bible, if we accept the seemingly absent God and the relatively active protagonists in the book of Esther as a comparable lens to look at the film, then the cinematic story of Noah can still be counted as “biblical” with regard to this particular aspect. Rather than asking if the film is biblical or not, we can perhaps be more specific with our question. We can narrow down our options, asking how the film compares specifically with the flood story in Genesis 6-9. In broad outline, both the film and Genesis 6-9 share resemblances. Both of them begin the story with the antediluvian era when human wickedness pervades the earth; both continue the story with a gigantic ark floating on the surface of the water during the deluge; and both end the story with a surviving family in the cleansed land after the flood. In detail, they nevertheless share some interesting and significant divergences. In what follows, I will only pick up a few examples that I have observed so far. I think these examples are useful enough to show that the film “Noah” creatively fills in the gaps, transforming and updating the flood story found in Genesis 6-9. Let us begin with an investigation of the causes of the flood given in Genesis 6. On the one hand, Gen 6:12 tells that “all flesh had corrupted their way upon the earth.” Yes, it says “all flesh.” No, the animals are not innocent. They are supposed to be as corrupt as the human beings. The Deluge is the retribution of God on the violence that fills up the whole earth. On the other hand, Gen 6:5 focuses on the “wickedness of man” that makes the heart of Yahweh so sorry that he decides to destroy the whole earth with a deluge. Here, the guilt of other living beings is not mentioned. It is the evil specifically of mankind that incites the divine rage. Ambiguities persist in the interpretation of “the wickedness of man”. Are we supposed to link this wickedness to the preceding enigmatic account of the sexual union between “the sons of God” (commonly understood as the “angelic figures”) and “the daughters of man” (Gen 6:1-4)? Here, the movie steps in and fills in the gap. It chooses to exonerate the guilt of the animals. According to the film, the animals are “the innocent”. Why are they innocent? “Because they still live as they did in the Garden,” the little Ila (Noah’s adopted daughter) clarifies. In fact, the film picks up the tradition that lays great stress on “the wickedness of man”. In this way, the reason for the flood given in the film aligns more with Gen 6:5. Even more than Gen 6:5, the film offers a more specific interpretation of this wickedness. Reflecting a modern concern, Aronofsky presents the antediluvian evil as about the industrial corruption. Under the leadership of Tubal-Cain (Noah’s archenemy in the film), humanity has learned to make weaponry and applies the newly learned skills to commit more environmental and social damages. The camera constantly zooms out to reveal the vast arid landscape, which is a result of humanity’s “disrespect” for natural environment. And in two scenes (one in a dream, another in reality), the camera zooms in to focus on Noah’s feet, which step on the soil stained with blood shed by the wicked people. What about the angelic figures who mated with the mortal women in Gen 6:1-4? What about their offspring, the גברים (the “mighty men” who are considered to be the γίγαντες “giants” in the Septuagint, the Greek Bible) mentioned in Gen 6:4? Well, the director downplays the sexual innuendo latent within the biblical texts. Anyway, biblical scholars are still undecided about the connections between the sexuality in Gen 6:1-4 and the wickedness of man mentioned in Gen 6:5. Ingeniously, the director takes up those elements present in vv.1-4 by conflating the angelic figures with their gigantic offspring. In the movie, the six-armed rocky giants are simultaneously the fallen angels, who come not to fornicate with the daughters of man, but to teach mankind about weapon-making. Perhaps to underscore more of the evil nature of humanity, Aronofsky crafts a pitiful group of giants. Despite their physical enormity, these rocky giants are still betrayed by the people they have helped. Amiable enough, these giants help Noah construct the ark later. Does the movie present a whole new interpretation of the flood story? On closer inspection, the answer is not entirely. Many of the elements are also present in the ancient story of 1 Enoch (c. 3rd century BCE). In 1 En 8:1, the rebellious angels came to the earth to teach the people “(the art of) making swords and knives, and shields, and breastplates”. This knowledge of weaponry supposedly leads to more blood, violence, and oppression. In 1 En 67:2, a group of angels also assists in the building of the ark: “At this time the angels are working with wood (making an ark) and when it is completed, I shall place my hands upon it and protect it, and the seed of life shall arise from it…” To be sure, the Enochic texts contain their own agenda, with a lot of other monstrous details that are not present in the movie. What Aronofsky does is that he creatively draws elements from these Enochic sources, combining them with a biblical framework, in order to elicit a new message that fits with his modern perception. In the movie, the environmental and social degradations wrought by humanity become the pinnacle of human wickedness, which prompt the Creator to lash out and demand his justice. Here comes the flood. Some of the most memorable scenes from the film happen in the ark. Yet, Genesis 6-9 is rather mute about what happens on board during the deluge. The first flood account in the Bible is preoccupied with the construction and the measurements of the ark, the number and kind of animals on board, and the time period of the flood. In Gen 6:15, Noah gets specific instructions for the ark’s dimensions (300 cubits long, 50 cubits wide and 30 cubits high). The ark is to be made from gopher wood (Gen 6:14). More perplexingly, the texts call for different numbers of animals to go into the ark. On the one hand, without specifying the kind of animals, God prescribes two pairs of animals to enter the ark (Gen 6:19-20; 7:9, 15). On the other hand, Yahweh specifies two pairs of clean animals plus seven pairs of unclean to be imported into the ark (Gen 7:2-3). Similarly intriguing, the texts offer different amounts of time to account for the flood. One segment spells out 40 days and 40 nights for the rain. Another segment offers a broader span of time (150 days), which is the time period for the water coming from “the fountains of the great deep” and “the floodgates of the sky” to remain on the earth (Gen 7:24; 8:3-5, 13-14). Of course, we can follow the text critics to assign these contradictions or duplications to different sources (on the textual criticism of Gen 6-9, see a brief explanation in the bibliography section below). Undeterred by the picture of seemingly innumerable animals aboard the ark, four physics graduate students at the University of Leicester have recently proposed that, following the dimensions given in Genesis, the animal-filled ark could theoretically float on the water (for a report in English, see here, for a report in Chinese, see here). We can delve into many other details given in the biblical texts. But still, we are left with a gap in the Genesis story: What happens exactly when Noah and his family are on board? How on earth can the ark sustain all the animals without them killing over each other during the voyage? “A light (tzohar) shalt thou make for the ark” (Gen.6:16). R. Levi said: Tzohar means a pearl of purest ray. Throughout the twelve months that Noah was in the ark, he had no need of the light of the sun by day, nor of the light of the moon by night. For he had a pearl which he hung up: while it was dim, he knew that it was day, and while it glowed, he knew that it was night (Gen. R. 31:11, reproduced in Bialik – Ravnitzky, Legends, 27:121). Through the creative mixture of traditions, the movie audience are led into a magical world, where everything seems to be possible. More dramas are in store in the ark. First, Tubal-Cain, the leader of the wicked people, has successfully sneaked into the ark. Unrepentant, he still thinks himself as a god. He still thinks that he alone is the definition of justice, and that the whole world should be subjugated under his own definition of justice. Second, Noah’s second son Ham attempts to murder his father on the ark. It is Noah who fails to find Ham a wife. It is also Noah who chooses not to save Na’el (Ham’s would-be-wife). For this, Ham seeks revenge and justice from his father. Finally and most dramatically, Noah decides that none of the human beings is righteous. Humanity does not deserve to live. After the flood, after saving the animals and plant life, Noah and his family are to die alongside the rest of humanity. To an extreme, he actively seeks to kill the twin babies given birth by Ila. Noah thinks that death and destruction become the only way to carry out the Creator’s justice. In sum, Aronofsky’s characters all seek and yearn for their own definitions of justice. Ironically, in their earnest quests for justice, their actions become the very evil in the others’ eyes. What stands out most starkly in this episode is this one message: That evil persists inside the very ark! I will never again curse the ground on account of man, for the intent of man’s heart is evil from his youth; and I will never again destroy every living thing, as I have done (Gen 8:21). Look, Yahweh explicitly explains that the problem of humanity is not solved! (If you know the flood story in China, this is a very important difference. For a brief summary of this Chinese version, see the bibliography section below). Yet, Yahweh is merciful enough. He promises that he shall never again send the flood. To sum up, Aronofsky’s film “Noah” is one truly excellent example of the retelling of the flood story in Genesis 6-9. To be acknowledged, biblical texts do certainly impose boundary at various junctures (perhaps we can talk more about the boundary another time). What I want to stress from the above examples is that biblical texts also contain many gaps that render creative and imaginative transformations and reinterpretations possible. More and more, I have come to realize that, sooner or later, we all need to choose in our lives on how we want to understand, interpret, update and live out those gaps. Yes, we need to make the choices. Just like Noah in Aronofsky’s film.